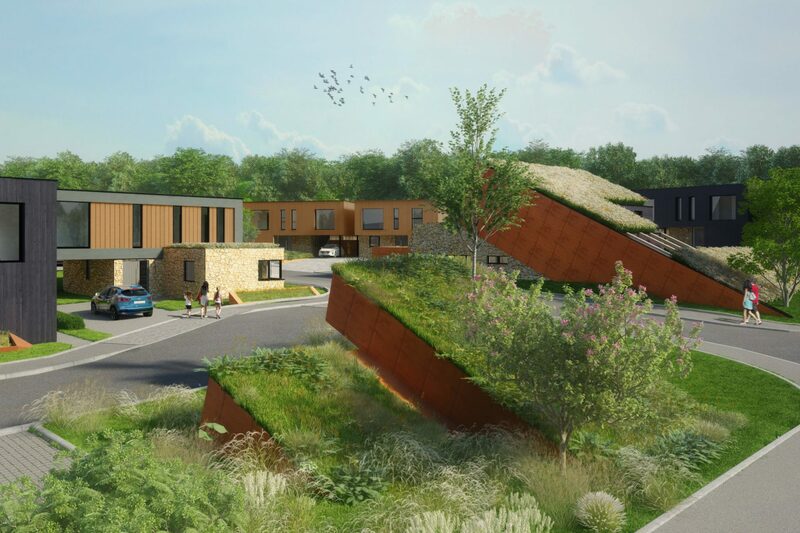 Cubis Bruton is an unusual response to the national need for new housing in that the impetus for this development came from the community itself. Aware that Somerset County Council was required to build 100 houses in the area, The Bruton Trust, whose aim is to encourage a high standard of architecture as well as maintaining or improving local features of historic interest, approached Mark Merer at Landhouse for a design. The criteria for the plan was first that it should be creative; Site specific using contemporary construction techniques creating energy efficient housing. with low running costs. The thought processes for the development began with the creation of a Network, Using that as a key the fabric, ecology, geology, history and landform were meticulously recorded. The Bruton Atlas, compiled by photographer Louis Porter, provided a visual vocabulary of the town covering all its external aspects from walls to doorknockers, signs to roofs and colour study. 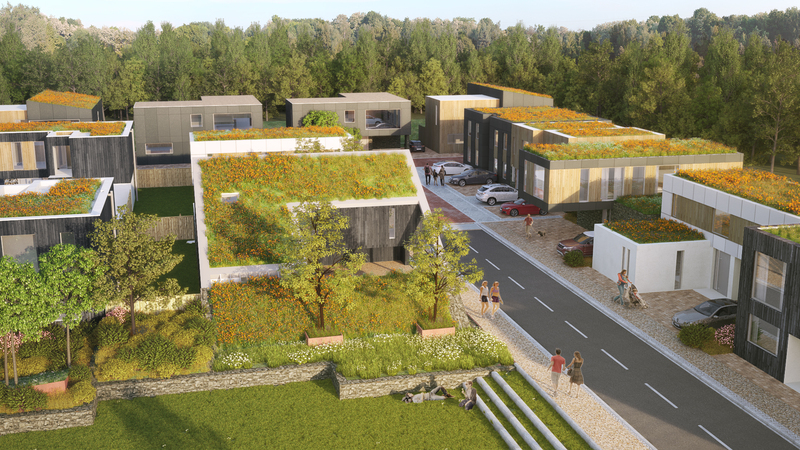 The site lies on the northern edge of Bruton within a short walking distance of the town and so will become a link to the surrounding countryside through common green spaces and footpaths: ecological corridors provide for wildlife. The houses sit lightly on the townscape and because the land slopes to the south the varied roofscape will appear as a landscape element within the area. Green and gravel roofs blend the roofscape into the landform like the geological outcrops that inspired them.